Your membership supports world-class ambulance service in your hometown. Acadian Ambulance was standing by at 2013 Festival International de Louisiane, when Mr. Barrilleaux suffered a heart attack. If this would have happened at home, I probably would have never woken up, so I’m glad it happened at the festival. I ended up having to have open heart surgery…I’m not ready to go, so I’m glad you guys were there. I believe in angels and heroes, and you guys were some angels. The Bracey family was involved in a multi-vehicle accident when a car travelling on I-10 crossed the median. Watch the Braceys meet those who saved their lives in this video. You all helped us and stayed by our side the whole time and made sure that we were taken care of. I commend all of you for that and I appreciate it and I thank everybody. Carrie Young, with the help of an Acadian dispatcher, provided CPR to her husband until help arrived. Watch their story. They gave me the greatest gift you can give in this life—time to spend with my family. They gave us back my husband, their dad, their son, because they did their job so well. It puts everything in perspective for you. We're very, very lucky. Robert Pierro called 911 when his wife stopped breathing. An Acadian dispatcher gave him life saving instructions over the phone until help arrived. Watch the emotional reunion. I wouldn’t have know what do without the dispatcher coaching me through it. This was my Christmas miracle. 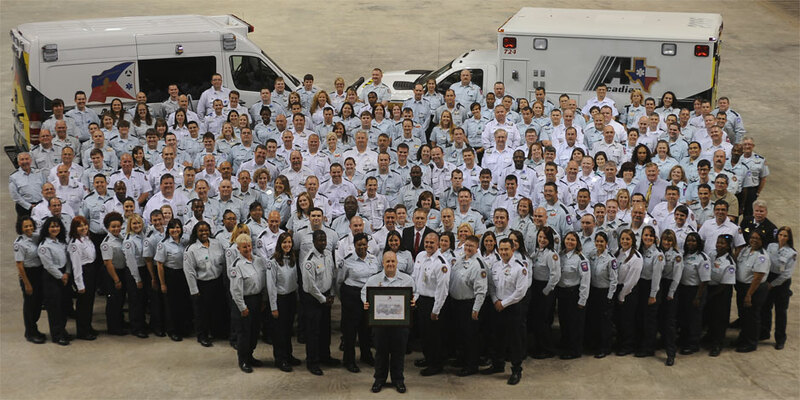 The Acadian family is committed to providing world-class ambulance service.